It’s challenging to know how a business really does business: How do they treat their employees? Do they try to reduce their impacts on the environment? Are they striving to contribute more to their community? A certification process called B Corp makes answers to these questions more transparent. “[It’s] like the Fair Trade label but for a whole company, not just a bag of coffee,” says Jay Coen Gilbert, B Lab Co-Founder, the nonprofit that certifies B Corps businesses. There are currently 2,251 Certified B Corps (the B is short for Benefit) from 50+ countries — and we’re lucky to have one in our own neck of the woods: W.S. Badger Company, Inc. in Gilsum, a locally owned company that makes healing balms, lip balms, sunscreens and other personal care products. Since 2011, Badger is “measuring what matters” as a Certified B Corp. Sure, Badger is measuring profits — but to them, money is the fuel, not the end goal. According to Rebecca Hamilton, Badger’s Director of Product Development, they had many motivations for pursuing B Corp certification. Badger’s products are already certified organic and fair trade, but they wanted a more holistic way to measure how well they do business. B Corp certification helps Badger benchmark their progress towards sustainability, showing them clear and real opportunities for positive growth and better ways to do business. View how Badger ranks as a B Corp at www.bcorporation.net/badger. So, what about you? Let’s say you’re not a business owner – how can you support B Corps and encourage others to explore this different way of doing business? Tell your boss about B Corp Certification. Any business can fill out the B Impact Assessment online for free and see how they rank. More than 25,000 businesses use the B Impact Assessment to benchmark their performance and help them set goals for continuous improvement. Another way to support B Corps is to ask your favorite locally owned businesses to carry B Corps Certified products. 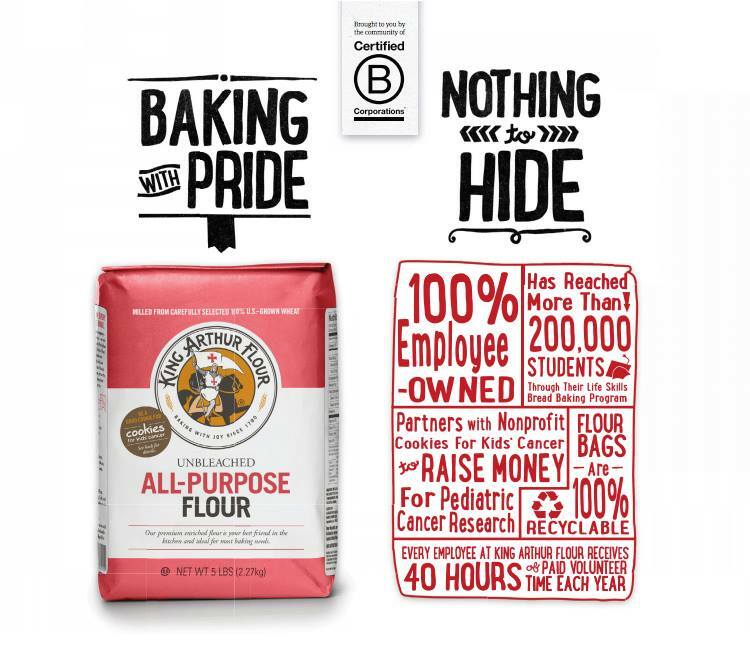 Browse companies on the B Corp website (www.bcorporation.net) and share your favorites – perhaps King Arthur Flour or Seventh Generation? You can also help by taking a look at what office products your workplace uses and encouraging your company to switch to products from Certified B Corps. And finally, one of the ultimate ways to help is to advocate for the state of New Hampshire to recognize a new type of business – the Benefit Corporation. While B Corps is a certification offered by the nonprofit B Lab, a Benefit Corporation is a legal status run by the state. Benefit corporation laws are already enacted in many states, including New Hampshire. Your support of Certified B Corps and B Corporation legislation helps companies grow and become more successful by doing good, encouraging other companies to follow their lead.